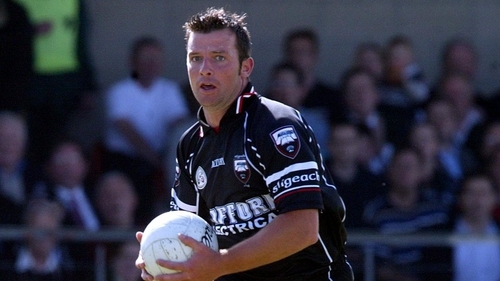 Former Sligo footballer Paul Taylor is set to be installed as the new Yeats County boss. Sligo set up a selection committee to find their next manager and they put forward Taylor's name. It is expected that he will be ratified by club delegates at a meeting next Monday. Taylor won six county senior titles with his club Eastern Harps and played 14 seasons with Sligo. He was involved with Kevin Walsh as a selector on the senior team which lost out to Roscommon in the 2010 Connacht final. He went on to manage the county's Under-21 team which narrowly lost to Galway in the 2017 Connacht final. He will succeed Cathal Corey, who stood down after one season in charge. Sligo are in Division 3 of the Allianz League and their interest in the Championship was ended with heavy defeats from Galway and Armagh. Joe Taffee was chair of the group who were given the job of finding a new manager and he said it was a competitive market given all of the current inter-county vacancies. In a statement released by Sligo GAA, he went on to say that during the seven-week process which started on Friday, 3 August, the selection committee had spoken to nine potential candidates. Taylor will announce his full backroom team in the coming weeks, which will feature two local selectors and a new face to the senior set up in coach Joe Keane of Mayo. Keane won an All-Ireland Club senior medal with Crossmolina in 2001. He then went on to coach the Mayo Under-21s to 2016 All Ireland success and in the past two years has been involved in the Mayo senior set-up working alongside coach Donie Buckley.